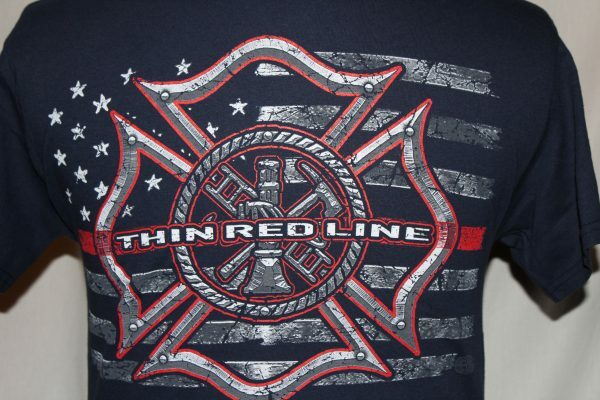 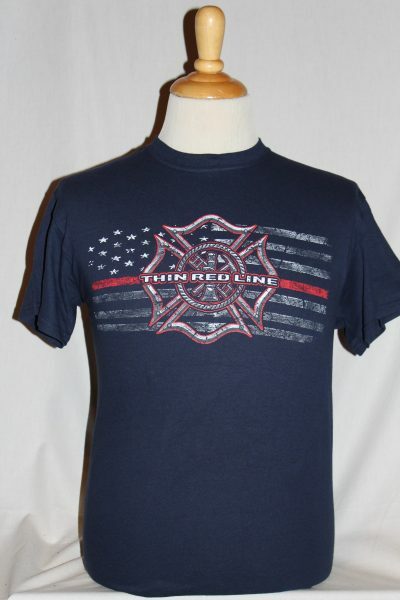 The Fireman Thin Red Line T-shirt is a two sided print in dark blue. 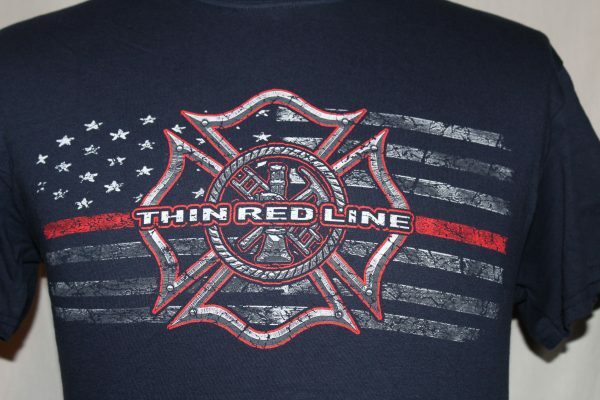 Front Design: The red lined American Flag with fire fighters symbol superimposed. 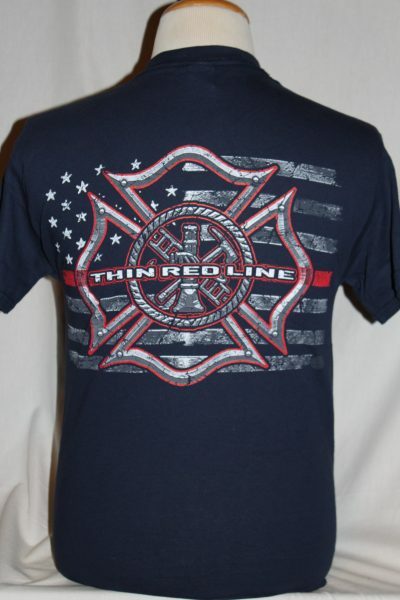 Back Design: The same as front design only larger.